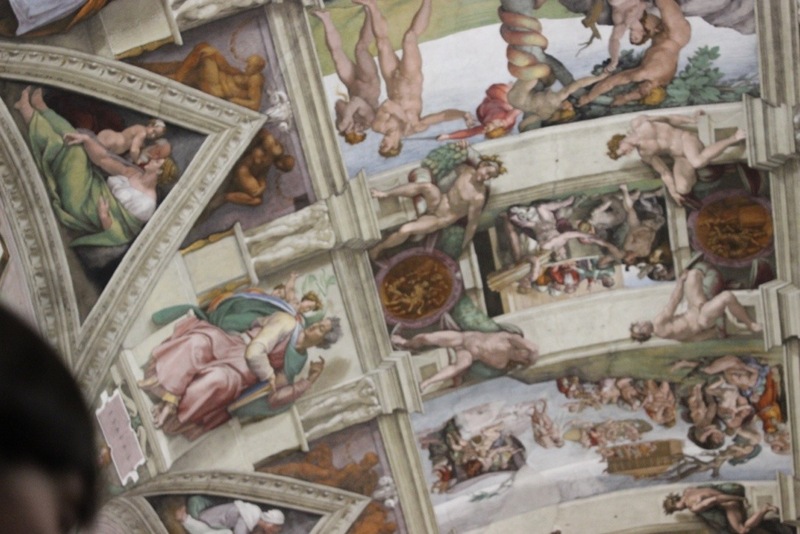 Too many rules at the Sistine Chapel! Geesh! As soon as you get in to view the chapel, people are shushing at everyone to not speak. Guards are saying ‘no, pictures!’ To me, it takes away from enjoying the overall experience. I tried to take a quick photo of Michelangelo’s most famous section of the fresco “The Creation of Adam” where God and Adam are barely touching fingers, but I didn’t do so well. Too much pressure. The throngs of tourists are steadily pushing you towards the exit the entire time. That being said, I am so happy we got to the see it. It is truly beautiful.